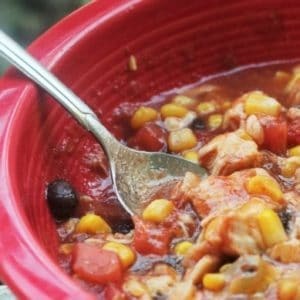 March 11, 2016 0 comments on "Chicken Taco Soup"
It’s fall again, and time to start working some good soup recipes into our weekly dinner menu. My family is kind of picky about soup, there are only a few different kinds of soup that everyone really likes. 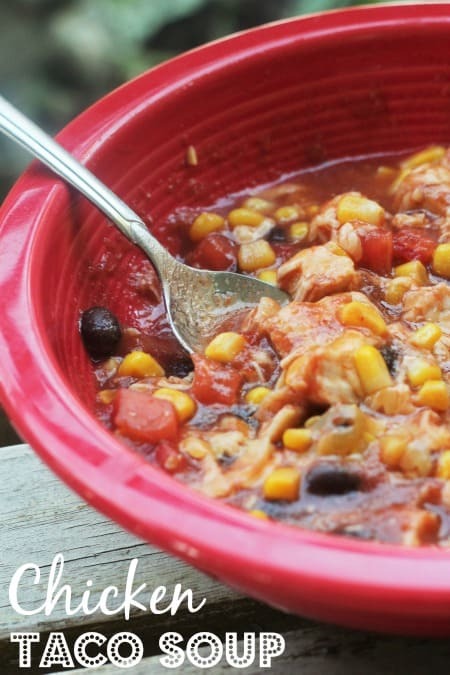 This chicken taco soup is definitely one of them. I know I shared this chicken taco salad in a jar only a week or two ago, but I couldn’t help sharing another taco flavored chicken recipe. I hope you don’t mind! This recipe is really easy to make, and you may even already have everything you need on hand to make it. Optional toppings: Green onions, grated cheese, sour cream, tortilla chips, avocado, black olives. *Note: You can use any type of salsa in this recipe. If you like hot salsa or a milder salsa, feel free to substitute. Several of the ingredients listed above are linked to recipes for making your own homemade salsa, chicken broth, and homemade taco seasoning mix. You can buy them already made from the store, or use those recipes to make your own. Drain the beans and corn. Combine all of the ingredients together in a large stock pot, and simmer for about 15 minutes, until soup is heated through. You could also put all the ingredients in a crock pot and heat it on low all day, if you want to have dinner already made when you get home. Serve with the optional toppings listed above. This recipe is SO easy, it really doesn’t get any easier than this! You can also double this recipe if you want have some for leftovers. It’s also a great recipe to make if you have leftover chicken you need to use up. 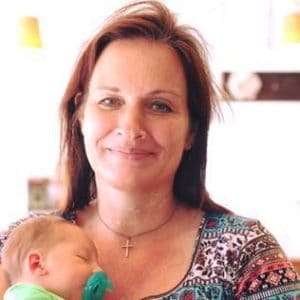 Follow my Favorite Recipes and Crock Pot Recipes boards on Pinterest.